ublisher blogs are often used to spotlight books and media projects, and ours is no exception. 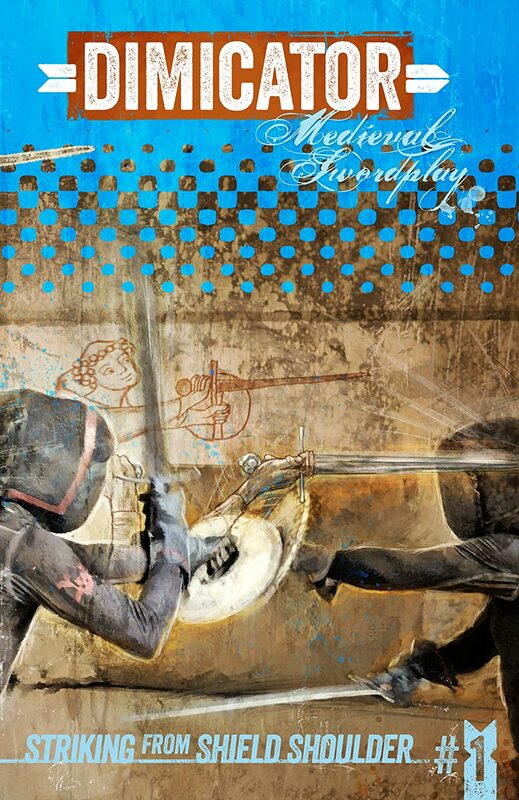 However, today we’re not talking about a Freelance Academy project, but rather something too beautiful not to draw your attention to: Dimicator – Medieval Swordplay, the new, lavishly illustrated e-journal by respected swordsman and artist, Roland Warzecha. There has been nothing like Dimicator for practitioners of historical European martial arts – a recurring, visual instructional guide that makes use of both old-school and cutting edge technology to immerse the reader in the world of medieval swordsmanship. We spoke to Roland to ask him about this project, how it compares to his work in creating a training DVD, and where he sees the ejournal going over the next couple of years. 1. For months now, you’ve been teasing audiences on Facebook with sneak peeks at “Dimicator”. Tell us what the Dimicator project is, and how you came to conceive of it. 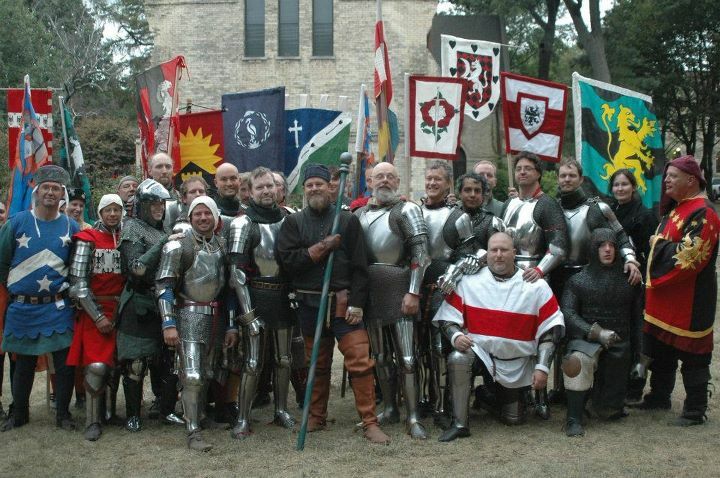 For quite some time I had been looking for the right format to present the results of my years of research into medieval fighting arts and the associated weapons to a wider audience. I had considered a book or a website, but both would have required a lot of material to prepare before I could go public. A series of elaborate articles, in contrast, has the advantage that I could start publishing much sooner. When I had decided to leave my old club to found my own school, it provided me with the chance to put all my ideas and concepts regarding teaching and training into practice. Because I had to find a new name and create a new corporate design, it also felt like the right moment to finally start publishing. So you are quite right to speak of Dimicator (which is medieval Latin for combatant) as a project. One brand which comprises my school, the website, the popular Facebook page, the Vimeo video site and now the e-book series. 2. You’ve become known in the larger HEMA community for your work with Manuscript I.33, our oldest-known, European fencing treatise, and Dimicator is also the name of the school you’ve created to study this work in depth. Is it fair to say that the electronic Dimicator then is a digital record of your I.33 curriculum? Yes, I guess you could look at it this way. The content of the first as well as the up-coming second issue definitely reflects an important part of what we have been working on the past year. I have the luxury of exclusively training with experienced senior students who have up to 5 years of regular sword and buckler practice under their belts. They are all devoted students of the art and skilled fighters, who have what it takes to pressure-test any new idea that I may come up with. After all, we will never know for sure if our reconstruction of an extinct fighting system does indeed reflect historical reality. So constant peer review is a necessity and reconstructing sword and buckler combat will remain a work in progress. This is also why I feel that a series is an appropriate format for publishing my views. 3. The first issue is called: “Striking from Shield Shoulder”, and starts with understanding the handling characteristics of the sword. If a reader has never handled sword and buckler before, will following the issues of the magazine let them learn “from the ground up”? Well, the foreword asks exactly the same question: Can you learn swordfighting from books? The historical sources say that, while you can very well explain combat by practically showing and demonstrating it, you can nowhere near as profoundly write about it – and then they proceed to do exactly that. Frankly, I would be astonished if anyone who has never undergone tuition in martial arts would master the manouvers described in Dimicator magazine, particularly when I consider how much time and effort it takes to teach a particular action to my students in the salle. However, I know that I would have greatly benefitted from a publication like that if it had been available when I picked up sword and buckler after years of practice in traditional martial arts. 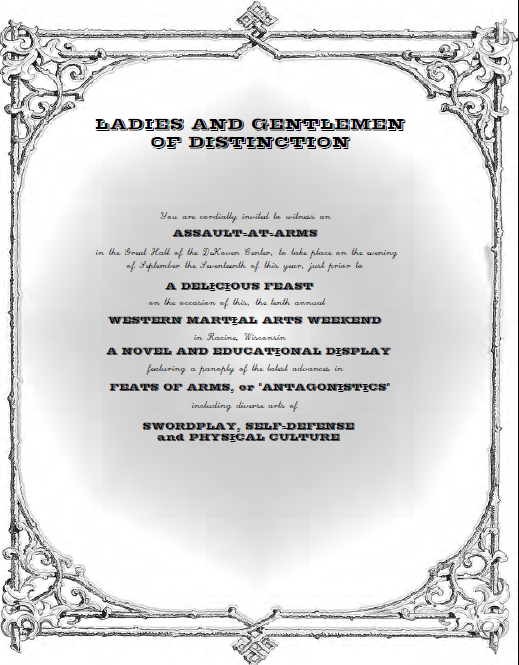 So I am confident that my publications will be useful to students of buckler combat and spare them some of the dead ends and wrong turns that I took in past years. It is also my hope that lovers of swords and history as well as authors and even scholars, who are not actually considering to pick up martial arts, may get a better understanding of the complexity and refinement of medieval European swordsmanship. 4. You used a different form of media – DVD – to also teach students fundamentals of sword and buckler play in the instructional program “Sword and Shield” by Agilitas. How do you compare working on the two projects? How do you see them integrating – if at all – for bringing your ideas and methods of swordplay to a broader audience? I am very grateful that Agilitas offered me the chance to create a DVD that provides basic instruction comprising universal body mechanics, fencing theory and tactics as well as a number of solo drills that I hope are useful for both beginners and advanced practitioners alike. Video has the undeniable advantage that it conveys speed and flow of a particular physical action in a way that written text and illustration cannot. It instantly reveals if a researcher also is a competent practitioner. I have always used video to present my work to the public and, in fact, it were those video clips, edited and up-loaded by Tobias “Toke” Wenzel, which helped us to put our name onto the international HEMA map and ultimately lead to being invited to do the DVD. I would say that a video sequence transports a lot more information than an illustrated one. But in a sense, this is also its drawback. If you look at a static image in a book, then the author has specificly chosen it because it best visualizes a particular detail. So pictures are more focused than a video sequence, in my opinion. I find it much easier to direct a reader’s attention to essential detail in a book. Also, he can take his own time to digest, other than with video. So both media have their strengths and definitely supplement each other. Contentwise, the e-book offers new insights that we have gained ever since the DVD was made, which is exactly why I chose to start with “Striking from Shield Shoulder”. When I compare working on both DVD and Dimicator, my preference is clearly with the e-book series. It brings all my talents together to not only produce my very own fechtbuch but also create something beautiful. Plus, I am in complete control of every detail and have all technical means for its production at my disposal. I enjoy this independence. 5. The artwork in this first issue is breath-taking, and builds on the sort of art you used for the posters you designed for Freelance. But why traditional illustration over photography or 3-D illustration? Was the choice artistic or informational? The decision to go for illustration was an easy one, after all, this is what I can do best. I am very pleased that my art work is well received and appreciated by readers. I think that in a world where everybody constantly sees and takes, manipulates and distributes photographs or video, the respect for these media is decreasing, regardless of quality. I would even go as far as to say that, because of CGI, they have generally lost credibility. It has become impossible to tell if something is fake or real and so we have developed an underlying sense of general scepticism when we are presented photo or film. In contrast, it is almost a relief to look at illustration. It never pretends to be something that it is not and is stimulating in a way that is hard to achieve with photography. This is also an advantage of traditional over 3-D illustration: I often find 3-D stunning at first, but quickly lose interest. Even tiniest detail is rendered and accurately finished which makes it sterile, in a sense, and ultimately boring to look at. At second sight, there is nothing left to discover. As an author and instructor, illustration is better suited to direct my readers’ attention and make them focus on a particular detail. I find photos too distracting in this regard: Instead of paying attention to the actual issue, the reader may be occupied with irrelevant thoughts: What is this location? Where did she get that sword? Why didn’t he take off his glasses? Are these turn shoes hand-stitched? Looks like his bad hair day etc. – well, you know what I mean. Illustration, in contrast, makes it easy to invite the reader to take a fresh perspective and leave irrelevant real life oddities behind. 6. You’ve told me before that a part of your love for illustration was originally to be a comic book artist. In that industry there are often amazing artists, but their challenge is always production deadlines. How do you keep yourself “on track” with such an elaborate project, especially now that the “word is out”? Hahaha, it remains to be seen if I will manage to stay on track. But I have made the plan to pursue this objective for at least two years (that would be 6 to 8 issues, I guess) before I evaluate its success and reception and decide, whether it pays to continue or not. I am usually quite good at realizing my plans, after all, I have worked freelance all my life, which definitely taught me work-discipline. But I honestly cannot wait to go back to work on the magazine, whenever there is a slot in between jobs and obligations. If I could afford it, I would be working on it constantly, it is just so much fun. 7. What advantages do you see to this e-journal format over a more traditional, bound edition? I am not restricted by the constraints of print production, so I can publish any number of pages, be it 7 or 31. Costs are minimal so I can sell at a low price. I can publish instantly when I choose to and distribution is worldwide. I also get a lot of direct feedback from readers via email or Facebook which enables me to improve from issue to issue at a much quicker pace compared to traditional print publication. 8. As beautiful as issue one is, people are going to ask: “will I ever be able to get a print edition?”, so let me ask it for them. Will people see a print edition, eventually, or will they have to content themselves with their home laser printers? I am an old school book lover and I believe in paper. It is sensual and it lasts. So yes, absolutely, there will be a printed edition as soon as I have collected enough material for a book. Currently I am thinking of a first volume to collect issues 1 – 4. I definitely want to see this book on my shelf – and everybody else’s! 9. Finally, the next most asked question: So what should we expect in the issues to come? Issue #2 is already in the works and the instructional section will show how to enter a fight from Left Shoulder and which plays may eventually ensue from there. I decided to first cover general tactics, so I can put the more sophisticated I.33 approach into context. Future issues will also cover shield-striking, as well as facing a left-handed opponent. I guess I have enough material for years. The second issue will also include a brief history of sword evolution from the Viking Age to the medieval period and point out combat requirements that brought about the respective changes in weapon design and swordsmanship. So Dimicator magazine is not only designed to provide instruction to practitioners of sword & buckler, but also to impart the results of my years of research into the early medieval period and its arms and martial arts which precede the fechtbücher and the weapons covered therein. After all, for millenia swordsmanship meant combat with sword and a shield, and I hope to be able to show up interesting links and developments that ultimately lead to the fighting arts we see in the fencing treatises, which only appeared at the close of the age of the sword. I would be delighted if many readers would join me on this exciting journey into our past. 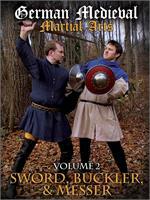 Dimicator: Medieval Swordplay is available via Amazon and will work on Kindle and various other e-reader platforms.